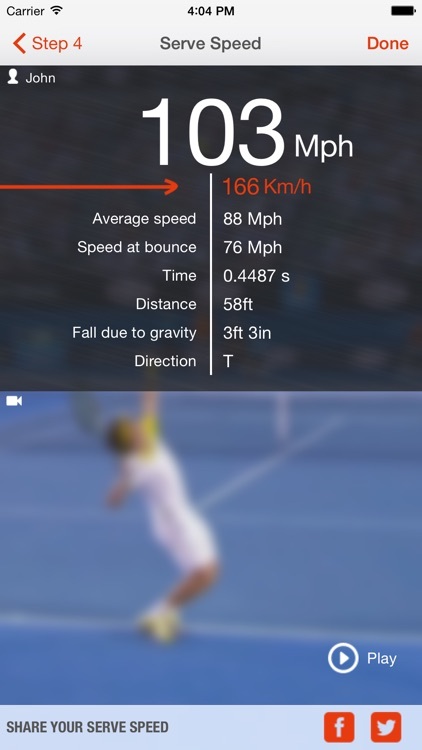 Calculate the initial speed of your tennis serve as shown on TV! 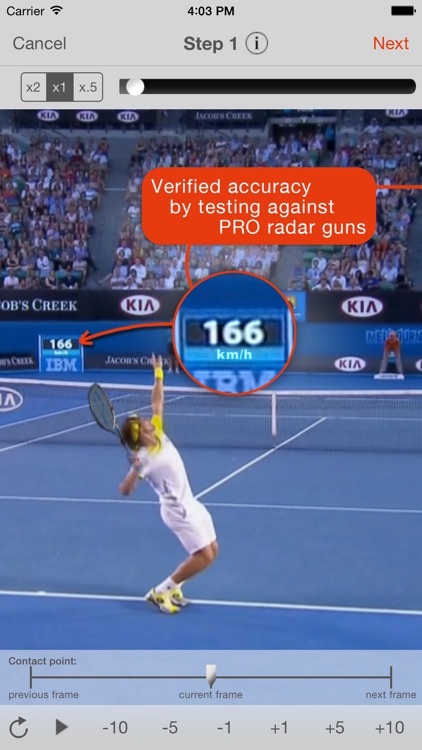 √ Record your serve at 240 FPS in HD quality! 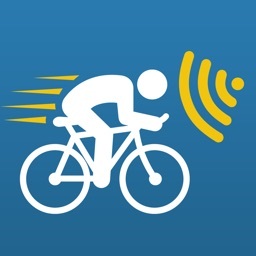 √ Also calculates/tracks the time, distance, average speed, speed at bounce and direction. 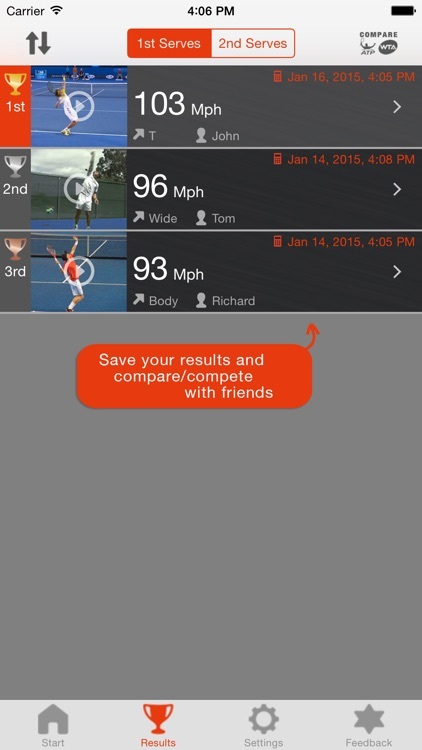 √ Save results (keep track of history), compete against your friends and track your improvements over time! 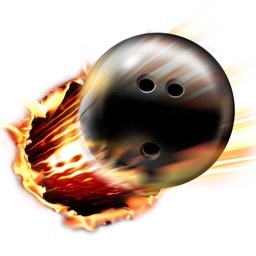 √ Add multiple players and calculate the speed of your friends and opponents! √ Save videos including the speed of each serve, analyze them in slow motion or frame-by-frame, and get instant feedback. 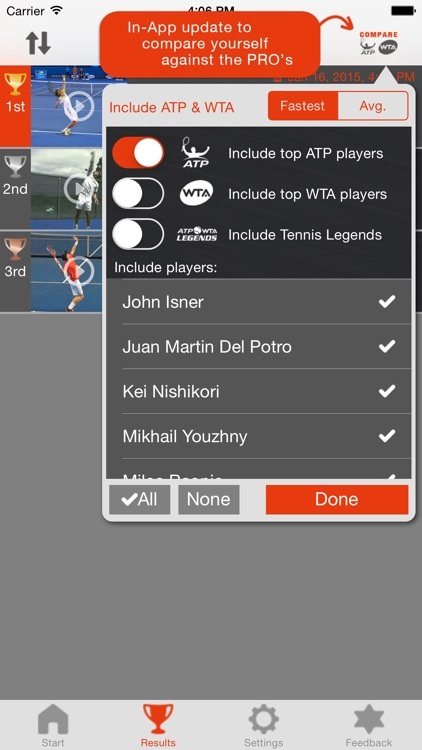 In-App update to compare yourself against the professional tennis players like Roger Federer, Rafael Nadal, Serena Williams, Pete Sampras and many other top ATP/WTA players and Tennis Legends. Gain the privilege that formerly only the PRO’s could enjoy in their radar gun-equipped environment. The idea for this App originated from the Tennis Warehouse Community where more than 750 people up voted for this App to be made. 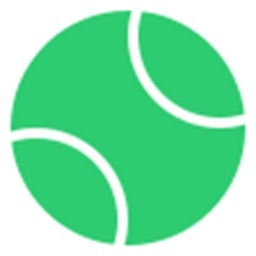 This App has been created with dedication and passion to improve the most powerful skill a tennis player can have: ‘the serve’. It uses advanced algorithms to calculate the initial speed (ISS), which corresponds to the speed shown on TV. The calculation is based on the position from where the ball was hit ‘till its landing location inside the service box. 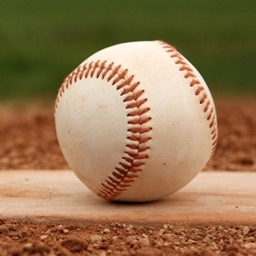 Holding in account the player’s height and most important the travel time of the ball. 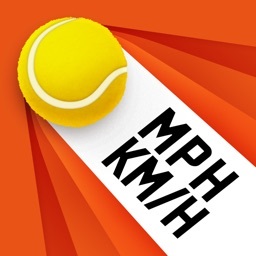 Taking advantage of the iPhone’s great camera, this App allows you to record your serve at 240 FPS (frames per second) that provides the best precision! Using a simple 4 step intuitive interface, which includes the graphical representation of the court with a moving scale that will further enhance the precision of data entry, you can calculate the serve speed within seconds. 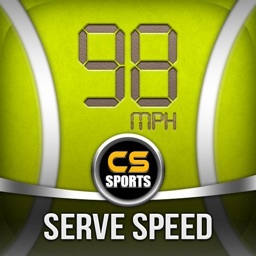 There’s a free feature in this app that allows you to save your serve videos including the speed and date. This will help you to keep track of your serve’s history, making it easier to review and compare them to your opponents. Please feel free to contact us for any comments or concerns regarding this App.